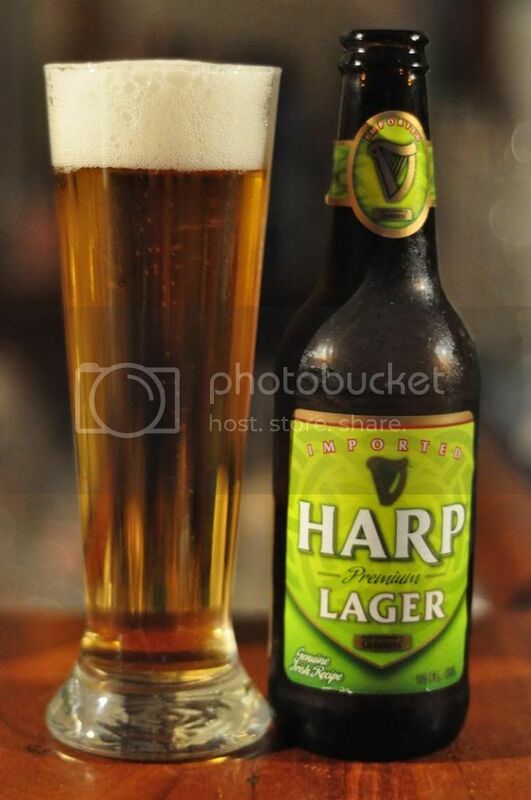 Harp Lager is the most consumed lager in Ireland. It's owned by Guinness and was launched in 1960 when Guinness realized they were losing alot of business from their world famous stout to people trending towards lighter European style lagers. So keen were Guinness to compete in this lager market that they converted the Dundalk Brewery, which they had recently purchased from Smithwicks, from an ale and stout brewery into a modern lager brewery with the help of a famous German brewer. Anyway, history lesson over it's time to taste this beer. I've had it once before, in Tbilisi of all places but don't really remember what it tastes like. 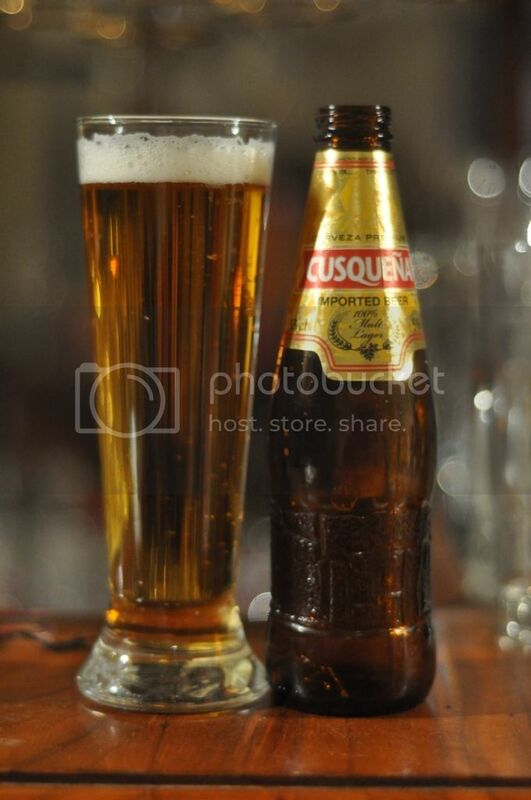 The beer pours a typical golden lager colour with three fingers of off white head perched atop. Although the head has a number of bubbles in it shortly after being poured it has excellent retention, at least two fingers, and leaves some lacing behind. For a lager Harp pours very well, I would like someone to tell me that they can think of a prettier one. Harp Lager has a little more quality to it than some other macro lagers I've had. It starts out with a slightly sweet malt base before some impressive bitterness kicks in. I've got no idea what variety the hops are but they certainly add bite to the beer. Although the carbonation is a little high at first, it's a lot of small bubbles that tingle the tongue and really begins to grow on you. It's one of the more drinkable lagers I've had in a long time. Overall this is a better than average macro lager. According to it's Wikipedia page Harp Lager is popular in Australia, maybe it is in other states but I think I've only seen it once in Victoria. It certainly would be a popular lager if it was readily available at a good price. It's incredibly drinkable so hopefully the distributor gets more of it out there, it'll sell well.